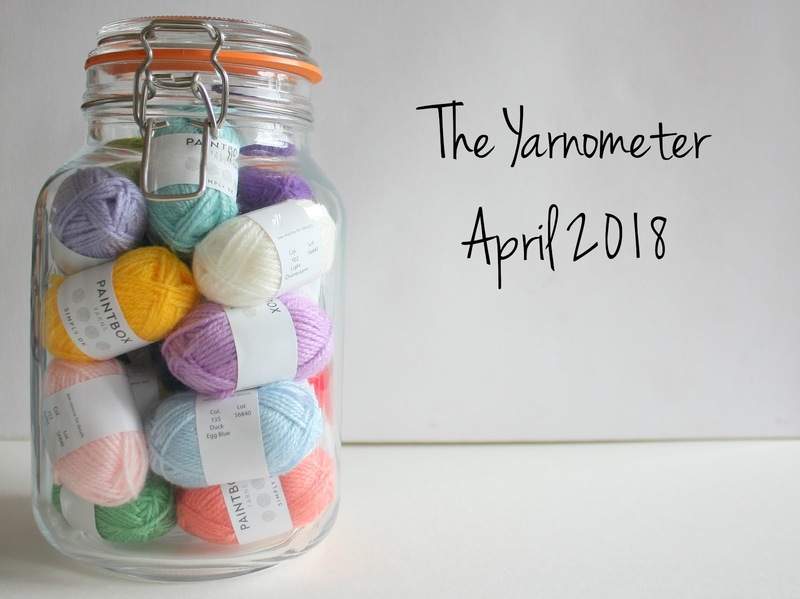 March wasn't the best for finishing things, or for not buying yarn. So what did April bring? 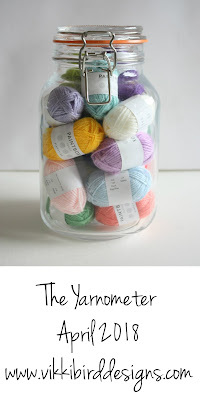 Well, first up, I had a birthday, and birthdays always equate to yarn (or they do here anyway! 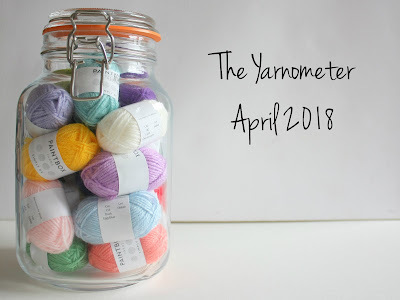 ), so there might be slightly more yarn than you would otherwise guess (unless you've already established that I do acquire quite a lot of yarn, which you probably have...). April was an excellent month for getting things off the needles, with seven projects completed! A friend and her husband are currently expecting their first baby, so I made them a gorgeous rainbow baby blanket. I loved this project and can't wait to gift it in a couple of months. The FO post will have to wait until it's been gifted, but until then, here's a sneak peak, and you can find out more by looking at the project page. My son had been requesting socks for a while, so I knitted him a pair at the start of the month. You can read all about them here. The babies really do keep on coming at the minute, so I whipped up a couple of Entrechat cardigans. This is one of my favourite patterns for baby girls, and they only take a few hours to knit. There will be a FO post in time, but for now, here they are together. I'm hoping to make a third (two-colour version) from the leftovers. I haven't designed any socks in a bit, and these were a lovely bit of variety. They'll be coming soon. You'll have to wait until the autumn for me to share this one with you, but I'm sure you'll all love it! 2600g (!) for a Mr Men and Little Miss themed blanket that was published in Crochet Now. I could absolutely not resist this, and my siblings kindly obliged with the yarn as a birthday present! 300 g of neutral Stylecraft Special DK* to go with the leftovers from the baby blanket I finished this month. I'll be making, guess what? Another baby blanket! So many FOs this month. So satisfying! Fortunately May is all about finishing things, and there will be a little bit of eBaying to move on a few things that aren't going to get used.